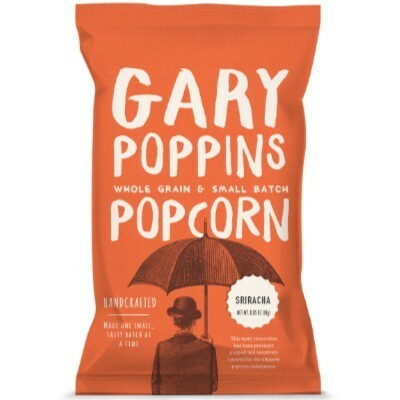 Gary Poppins Sriracha flavored popcorn has certainly spices things up! Popularized by the millennial chilihead culture, Sriracha has quickly unseated several other hot sauces for the title of America’s favorite hot sauce! 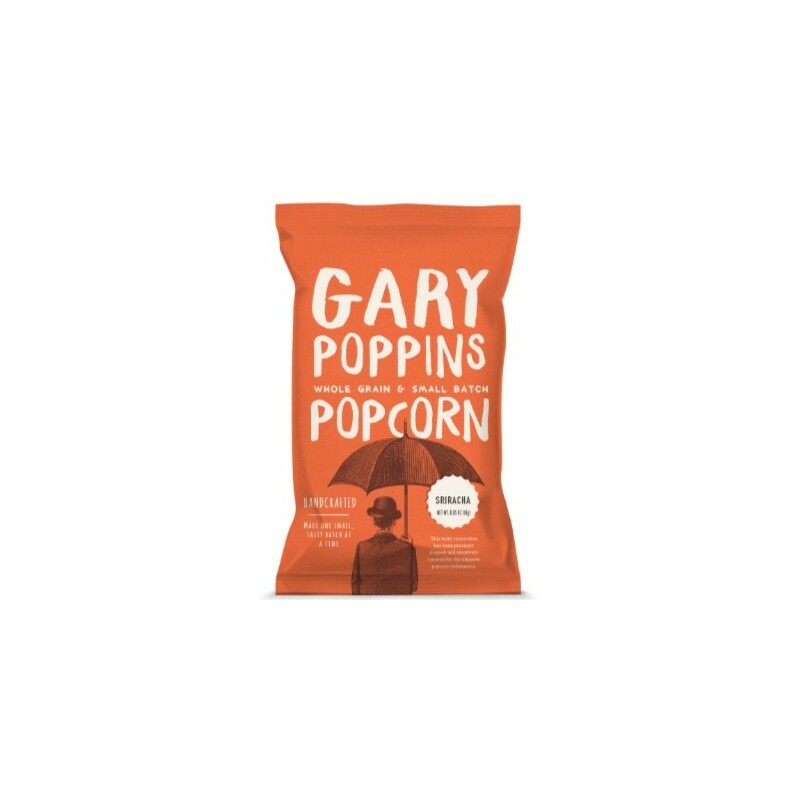 It’s definitely spicy, but the magic of Sriracha is that the heat doesn’t overpower the distinct red pepper flavor, nor will overpower the deliciously crisp flavor of Gary Poppins popcorn, so snack on! 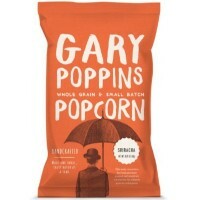 Popcorn, sunflower, sriracha seasoning (sugar, maltodextrin, salt, dextrose, spices, garlic powder, color E160c, yeast extract, dried hot sauce [hot sauce (aged red cayenne pepper, distilled vinegar, salt, garlic powder), maltodextrin, natural flavor], vinegar powder (maltodextrin, white vinegar), paprika extract, acidity regulator E330, pineapple juice powder (maltodextrin, pineapple juice), acidity regulator E296, natural flavor, less than 2% of: anti-caking agent E551, canola oil [as a processing aid]), sea salt. Manufactured in a facility that also processes milk, soy, peanuts, tree nuts. Contains GMO. Nutrition facts (for 100g): calories 444Kcal, total fat 22.2g (saturated fat 0g), total carbohydrate 61.1g (sugar 5.6g), protein 11.1g, salt 2.6g.